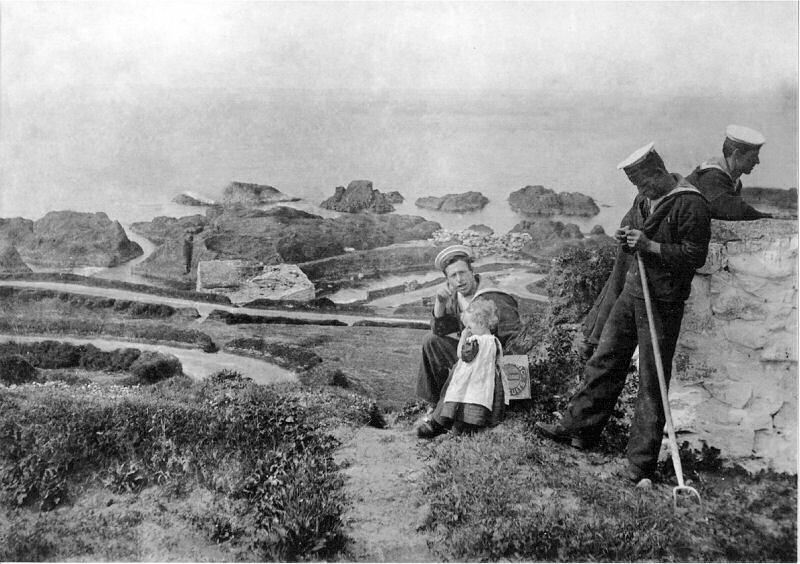 Boatman William Arthur George Derrick (sitting, facing camera) with his eldest daughter Ivy. The photo was taken at Ballintoy Coastguard Station in the year 1905. "Boatman Derrick was my grandfather and Ivy was my mother." William Arthur George Derrick. Coastguard Boatman..
drafted to The Mumbles, South Wales. What a lovely human photo! So many of the pictures of these naval men and their wives or families look serious and non too happy. It makes me wonder what emotions are hidden under the surface of the formal photo.